The purpose of Community Outreach is to provide art resources and collaboration with artists, schools, organizations, and community. With outreach programs in place, it is the goal of MSA to bring awareness to the importance of the arts in academic education. CLIQUE Anti-Bullying Campaign – A grant-sponsored project, Clique aims to bring awareness to bullying in schools across our nation. The performance brings all art disciplines together to meet one goal. 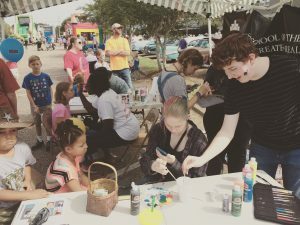 Summer Arts Camp – Summer Camp provides a great opportunity for students in grades 8-10 to be exposed to a little bit of Mississippi School of the Arts and take part in arts training and fun.